Tara Fela-Durotoye is a Nigerian makeup artist and lawyer. 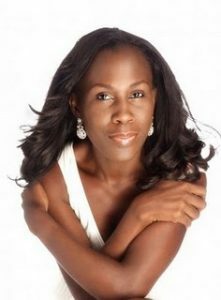 She is the founder and CEO of House of Tara International who pioneered the bridal make up profession in Nigeria. She is also the creator of the Tara Orekelewa Beauty range, Inspired Perfume and the H.I.P Beauty range. In 2013, Tara was nominated as a Young Global Leader by the World Economic Forum and was also named one of Forbe’s ’20 Young Power African Women’. Born on March 6, 1977 at St. Nicholas Hospital, Lagos, Nigeria, she is the daughter of John Ejegi Sagay, a commissioner at the Federal Civil Service, Nigeria and Felicia Omaghomi. Her parents separated when she was eight months old, and she was brought up by her stepmother, Modupe Agnes Sagay. She did her schooling from Command Children School, Victoria Island and proceeded to Nigeria Navy Secondary School, Ojo. She graduated from the Lagos State University, with a degree in Law. In May 2001, she married renowned strategist, Fela Durotoye of Gemstone Nigeria, with whom she has three sons, Mobolurin, Demilade & Morolaoluwa. *She was born on March 6, 1977 in Lagos, Nigeria. *Her father was the commissioner at the Federal Civil Service, Nigeria, at the time of her birth. *She launched the indigenous House of Tara product line, Orekelewa, and the country’s first makeup school in 2005. *She is a lover of gardening, classical music, tea and tea parties.